Dragnstore is a storage and back-up service that charges 59p a month for 5GB of space, rising to £9.99 a month for 100GB. 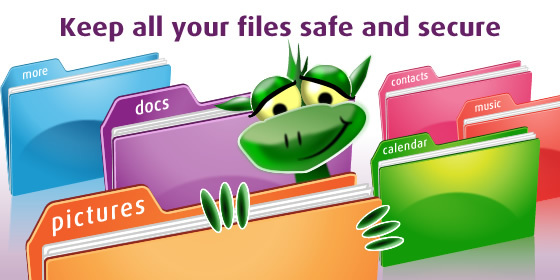 First impressions weren't good - the cartoon-dragon logo makes the service look amateurish, which doesn't instil confidence that your data is in safe hands. However, it's run by a reputable company, Leeds-based Kings Security, which has been making security products since 1968. Unlike rival services such as Otixo, Dropbox and ADrive, it doesn't offer any free storage, although there is a 30-day free trial. 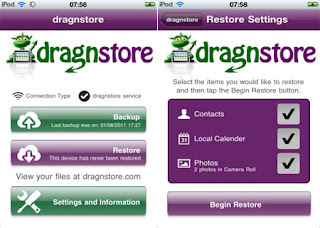 Dragnstore is available on the web or through a PC and Mac app, and you can get it as a free Android and iOS app. BlackBerry, Windows Phone 7 and iPad versions are being made. What marks Dragnstore out from the competition is its versatility. Unlike other services, you can use it across as many devices and accounts as you want. So, for example, everyone in your family could access it on each device they use. You can upload files via the web app, but we wouldn't recommend it because you can only add one file at a time, you can't up load folders, and it's slow. It took us 22 seconds to upload an 8MB file. The PC app is much easier to use. You can add and delete folders quickly, and see how much space you've used. You can also make changes to back-up schedules, manage your account (including unlinking devices) and view your back-u p history. The mobile apps work in a similar way, letting you add contacts lists and galleries, but the beta version for Android 4.0 was sluggish and often crashed during our test s. It worked fine on older versions of Android, though. There are better online back-up services out there, but Dragnstore gives you more freedom over how you access your files than any other service we've used.